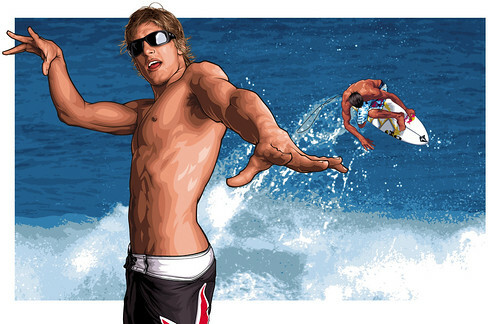 Two weeks ago the ASP released its official roster for the 2012 World tour. There were 34 names on that list, but one name was conspicuously absent: Dane Reynolds. For over a year, Reynolds overtly hinted that he wasn’t interested in competitive surfing. Or, at least, he struggled very publicly with the idea of competition. His demonstrative ambivalence, combined with his undeniable talent made him extraordinarily alluring to surf fans, and in a short span of time he became a surf media darling. It seems there is nothing more attractive to the surfing public as represented through magazines and websites than a seemingly uninterested savant. Through a fascinating combination of authenticity and careful marketing, Dane has managed to cultivate an impeccable image that embodies that sentiment. It’s difficult to discern the degree to which Reynolds’ self-awareness is meticulously calculated or genuine, but he should milk it. I think he’s known that for a while, and now, officially, he will. Yesterday, Reynolds took the time to address his fans about his decision to quit the World Tour, though he begins by establishing that this “Declaration of Independence” was not his idea. He’d reluctantly indulge after being pressured from various people and/or websites. (Guilty as charged.) And I’m glad he did. I think surfers appreciate it. And I think he’s glad that he did it too. Sixteen hundred words don’t typically roll off the keys against one’s will, and although I wish he would capitalize letters when he types (I don’t even know how to uncapitalize standalone i’s, but it’s super artsy), his message remains intact. And it’s a simple one, really. Dane Reynolds is a sensitive, honest person with exceptional talent who’d prefer to chart a career in surfing on his own terms. Especially if a cadre of sponsors will support that endeavor. That’s a notable caveat. It doesn’t diminish his decision or the reasoning behind it, but financial stability enables exceptionally broader latitudes of choice. He understands that – making a point to thank his fans and his sponsors for enabling his lifestyle, and I applaud him for seizing the opportunity to pursue his muse without compromise. Who wouldn’t? Dane explained his loss of interest in the ASP World Tour partially as a result of its “flimsy one dimensional criteria,” but mostly because he found it restrictive. Pro surfers before him have said the same, which further threatens the relevance of competitive surfing and the ASP moving forward. Bruce Irons voluntarily departed from the Tour in 2008; he seems to be doing just fine, but he is also the beneficiary of a compelling, well-manicured image. To any surfer incapable of developing a marketable identity, the ASP World Tour is absolutely essential. That won’t change. And the Tour certainly galvanized Reynolds’ and Irons’ credibility, as it has Kelly Slater’s. That won’t change either. Knowing this, Dane has already committed to seven major contests in 2012, which ensures his presence, relevance, and novelty in the New Year. Given that he’ll be participating in the Volcom Pipeline Pro, Quiksilver Pro Gold Coast, Nike 6.0 Lowers Pro, U.S. Open of Surfing, Quiksilver Pro France, and Vans Triple Crown Haleiwa and Sunset contests, he’ll have a decent shot at re-qualifying should the freesurfer gig not suffice. three brands support me and enable me to surf every day and travel and eat and have a house to live in. in return i represent their company in a positive way. i feel like i do a decent job. but that’s obviously up for debate. surfing is my passion in life…surfing isn’t just about joy. it’s also a sport. an industry. and we must not mix business with pleasure. by accepting endorsements i assume a certain responsibility. Clearly, there’s an element of tongue-in-cheek here, but this conflict is real. When your passion becomes your profession, you have obligations that undermine your inspirations. And that professional tension will exist in perpetuity, be it through contest jerseys or video segments or blog posts or annuities (depending on your passion). When a person acquires extrinsic incentives (money, endorsements, sponsorships, and fame) for something he is intrinsically motivated to do (surfing, barrels, airs, travel, friends, weird boards, and art), there will exist a struggle to maintain that passion. Behavioral economist Dan Ariely discusses the phenomenon in his book Predictably Irrational extensively, but it’s the story of any and every professional athlete and artist. To complicate matters further (at least for Dane), Reynolds’ character, motivations, talent and creativity have become nearly indistinguishable from the business and marketing of Dane Reynolds, and that will become even more pronounced as he fully embraces the career of the freesurfer. Dismissing the ASP’s ill-suited rules as an inhibitor is much easier than explaining the volatility and disappointment associated with absolute freedom, and I wish Dane and others like him the best of luck as he navigates that passage. 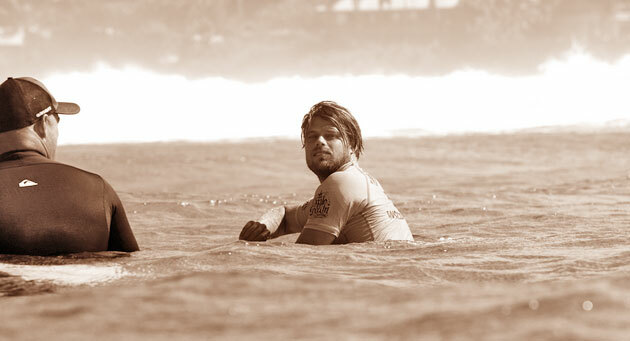 Correction Appended: An earlier version of this article stated that Dane Reynolds rejected a bid to compete on the 2012 ASP World Tour, when, in fact, he failed both to requalify or apply for a wildcard.